Manish Malhotra makes the best bridal collections – lehengas, anarkali’s, sarees and everything that you can ever think of. It’s every girl’s dream to be adorned in one of his creations, especially for the wedding day teamed with some gorgeous makeup! The below slideshow images have been chosen with great care keeping the Indian bride in mind which can help you put your bridal collection together. Red,maroon and pink are evergreen bridal colors. Stick to these shades for at least one function, especially to make your elders happy. Experiment with different colors and styles for the other functions. Try shades like ink blue, mauve, orange etc. if you feel you can carry it off. Don’t choose clothes that are temporary fashion! You’ll never be able to use it again. Thankfully Manish’s designs are evergreen… So this shouldn’t be a problem. In case if you have your jewelery decided before the outfit, show it to the designer so that he/she can work around that. And once you have decided on the shades of the dress, inform your makeup artist about it. Everything needs to be perfect – you get married only once! Make sure the outfit is customized to your size and fit. Ask the designer specifically to leave some margin inside the dress as there might be a change in size after marriage due to which you will need to alter the dress. Ask for 2 trails – one when the embroidery is done with a little bit of stitching (so that you have a final look at the outfit and incorporate any changes if required) and the second when the dress is completely ready. It’s very unlikely that there will be any alterations in the end as designers have great karigars and tailors who stitch to perfection. 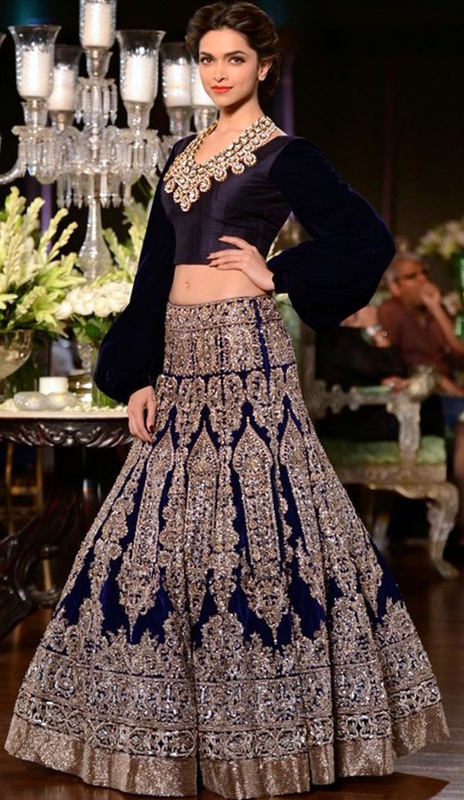 The Manish Malhotra,such a great innovative designer. India is grateful to have a talented designer. I am a huge huge fan of you(manish) and your designs. also i am on the path of designing. You’ll have to goto Manish Malhotras official website. 🙂 .. Thanks for visiting Zuri Prativa. Glad you love the collection. Ua r such an amazng designer manish i truly love ua colllection nd i want too becum a fashion designer like you and sumwhr m gettn inspired by ua fab collections..! !